Pirelli’s digital revolution, which has made it possible for the tyre to gather and transmit data, take a new step forward. At the 88th Geneva International Motor Show, Pirelli presents its Cyber Car technology, developed for Original Equipment in cooperation with major car makers. Cyber Car enables the tyre to directly interact with the car’s on-board electronics and in particular with driver assistance systems, delivering important information about the car’s operation to ensure a safer drive with enhanced performance. The new Pirelli system will be on the market by the end of the year on board the most innovative cars, both electric and traditional, of the major car makers. Cyber Car is the latest application of Pirelli’s Cyber Technologies platform, which was launched in 2002 with the aim of providing maximum integration between tyres, cars and drivers. Cyber Car, in fact, follows on from the Cyber Fleet system, designed for fleets, and Pirelli Connesso, intended for everyday motorists. 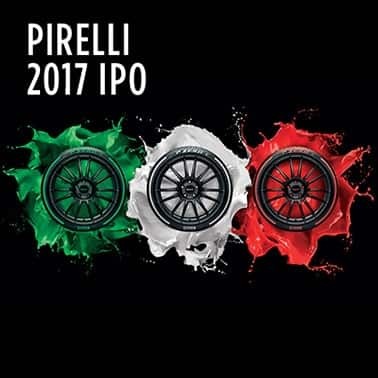 In particular, Pirelli Connesso, which was launched last year on the American market, is about to debut in the main European countries. 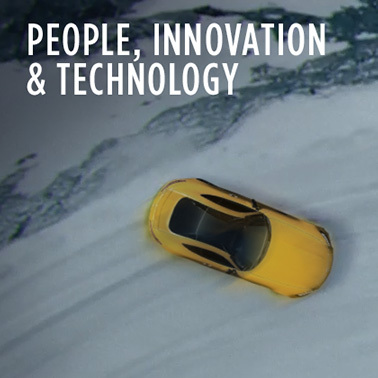 Placing sensors in the tyres themselves is an integral part of Pirelli’s Perfect fit strategy, focussed on the development of made to measure products and services that meet the personal requirements of drivers as well as the specialisations of car manufacturers. 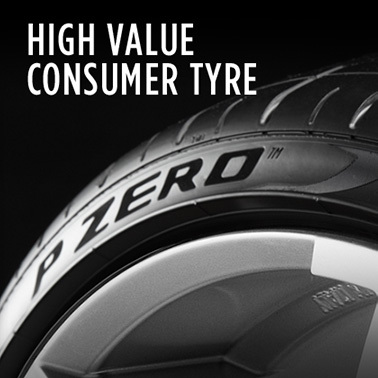 Pirelli’s Perfect fit solutions also include the P Zero Color Edition and the development of specific tyres for individual cars, denoted by special markings on the sidewalls (with different markings for each manufacturer). 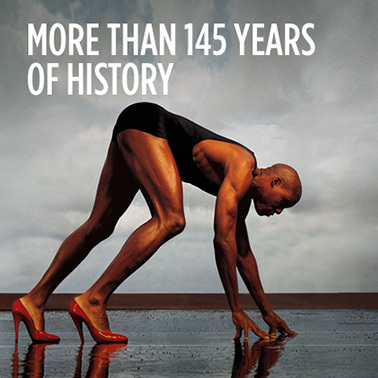 THE EVOLUTION OF PIRELLI CYBER TECHNOLOGIES. 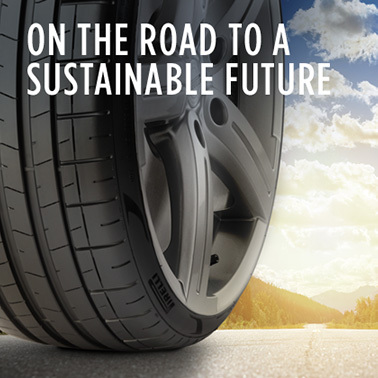 The tyre is the sole point of contact with the road surface, so it’s able to collect a large quantity of information crucial to a driving that is safer, more effective and more efficient, both in terms of environmental sustainability as well as cost savings for the driver. From a technical point of view, all of Pirelli’s Cyber systems are based on a sensor placed on the inside of the tyre connected to the Pirelli Cloud. This sensor, which weighs just a few grams, monitors the operating status of every tyre and transmits the data to an electronic control unit. The information collected is delivered to an app, in the case of Pirelli Connesso, or to the car’s on-board systems as well as an app, in the case of Cyber Car. 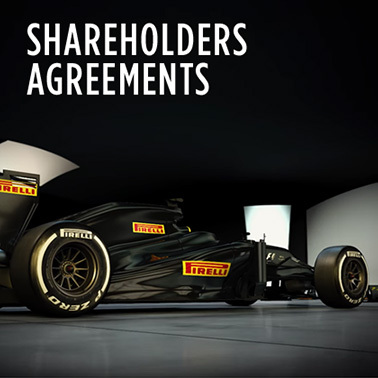 Pirelli Cyber Technologies use specific systems to talk directly to the driver (with Pirelli Connesso), or to fleet managers (with Cyber Fleet), or to both car manufacturers and drivers at the same time (with Cyber Car). These systems equally apply both to traditionally-powered as well as electric cars. The same base technology, but different and specialised applications. CYBER CAR, WHEN TYRES AND CARS TALK TO EACH OTHER. This is Pirelli’s big news from the 2018 Geneva Motor Show. Cyber Car is the new smart tyre system, offered to the Original Equipment market and designed in close collaboration with car manufacturers themselves. 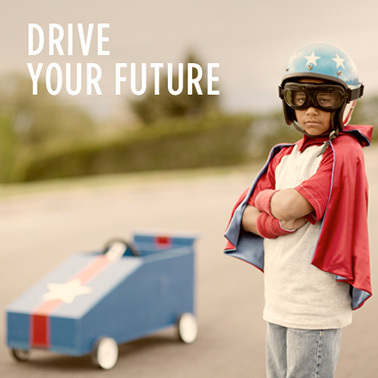 Cyber Car supplies important data that improves safety and performance. With the exception of tyre pressures monitored by TPMS systems, up to now there has been no information collected individually by tyres and then transmitted to the car. Pirelli’s Cyber Car takes the digitalisation of cars into a new era, thanks to an innovative form of automotive intelligence integrated into existing driver aids, improving performance, economy and environmental impact, using all the data that each sensor embedded in the tyre collects and communicates. Key tyre data, such as pressure, internal temperature and tread depth are among the parameters that Cyber Car can transmit to the vehicle. The system also has the capability to intervene and activate systems such as ABS and stability control. For example, by reading a tyre’s “identity card” (the tyre ID) the vehicle can alter its set-up in order to make the drive safer and more comfortable. Data recorded also includes vertical load: vital information for electric cars. The residual autonomy of battery packs is currently calculated using standard parameters, whereas with Pirelli’s Cyber Car, the on-board electronics can supply more precise information. By knowing the car’s accurate weight, the vehicle’s central control unit can calculate more exactly just how many kilometres can be driven before recharging. Cyber Car also informs the driver, through the carmaker’s interface, about the standard operating parameters of the tyre, such as vertical load, temperature and pressure, which allows timely intervention if the pressures are wrong. Tyre maintenance becomes an easier job, thanks to specific information about tread wear and how the tyres should be seasonally rotated. The Cyber Car can additionally enable access to a suite of bespoke services that can be further personalised to suit individual needs, such as car valeting, roadside assistance, and servicing. The first models fitted with Cyber Car will arrive this year; with a number of manufacturers already at an advanced stage of integrating Pirelli’s technology into their own systems. The next evolution will be the Cyber Tyre system: the tyre of the future, based on a technical platform capable of collecting even more data, transmitting information to the car’s on-board systems with every rotation of each wheel. Even though this technology isn’t on sale yet, its initial application is already in action on the Ferrari FXXK: the 1000-horsepower development hypercar that is only for track use. PIRELLI CONNESSO. Pirelli presented the Pirelli Connesso system in Geneva a year ago, technology able to send information to the driver about how every tyre is working via an app. This system has already been introduced to the United States market and is now ready to make its debut in Europe. While Cyber Car is intended as original equipment, designed to work with integrated on-board systems, Pirelli Connesso is aimed at the aftermarket. It’s also possible to access other useful services through the Connesso app, which can contact the nearest authorised Pirelli dealer and book a tyre change, for example. COLOR EDITION: ROUND, BUT NOT JUST BLACK. Pirelli’s coloured P Zero tyres will star in Geneva once more, having already been launched onto the market in sizes of 19 inches and higher. These allow customers to personalise their tyres from an aesthetic point of view, with the Color Edition available in base colours of red, yellow, green, blue, orange, silver and white. Other personalized colours can be matched as well. Pirelli’s exclusive technology allows the company to do this thanks to materials which, while not affecting the tyre’s performance, create a protective barrier to keep the colours bright and pristine throughout the tyre’s life. THE PIRELLI HOMOLOGATIONS ON SHOW. Perfect fit also means specific tyres are homologated for individual cars according to requests from manufacturers. Many of the star newcomers at the Geneva Motor Show will be fitted with Pirelli tyres, such as the Ferrari 488 Pista and Lamborghini Urus, as well as the second creation from Italdesign: the exclusive Zerouno Roadster. Latest-generation models such as the Audi A6 and Audi A7 Sportback, the new Bentley Bentayga V8 and hybrid, BMW X4, electric Jaguar I-Pace and McLaren Senna will also showcase Pirelli tyres in Geneva. Pirelli tyres are also featured in the Aston Martin, Porsche and Mercedes stands. PZERO WORLD AT THE MOTOR SHOW. 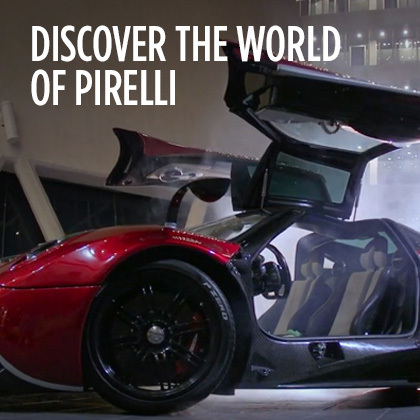 The Pirelli area at the motor show was designed to recreate the atmosphere of PZero World, that is, Pirelli’s flagship stores, already operating in Los Angeles and Monaco. The PZero World stores bring together, in a refined atmosphere, cutting edge services, P Design fashion accessories and images from the Pirelli calendar, as well as moto products and PZero Velo, Pirelli’s new line dedicated to sporting bicycles. The PZero Velo also includes a Color Edition, which is making its debut at the Geneva show.